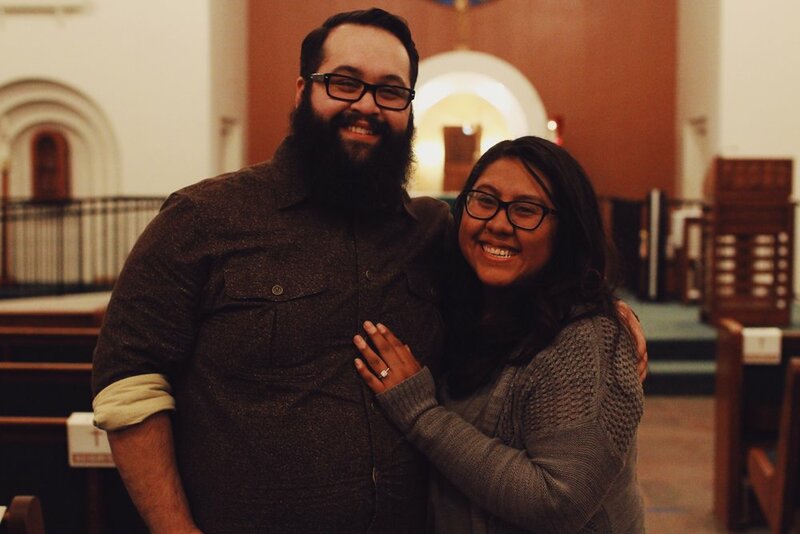 Both full-time ministry workers for the Church, Nayeli and Ivan had seen each other a few times at diocesan events, but they didn’t speak for the first time until Nayeli responded to one of Ivan’s tweets. Their friendship deepened, and Ivan asked her out the following year. Nayeli knew she was in the presence of a holy man, sincere in his pursuit, yet there was no peace in her heart. In a difficult, but necessary decision, she broke up with Ivan and began discerning religious life. She knew she needed to discover if the Lord was calling her to be his bride as a religious sister. Ivan moved on, yet time and again, God continued to bring him and Nayeli back together through friendly encounters and social media. They remained friends through her discernment. 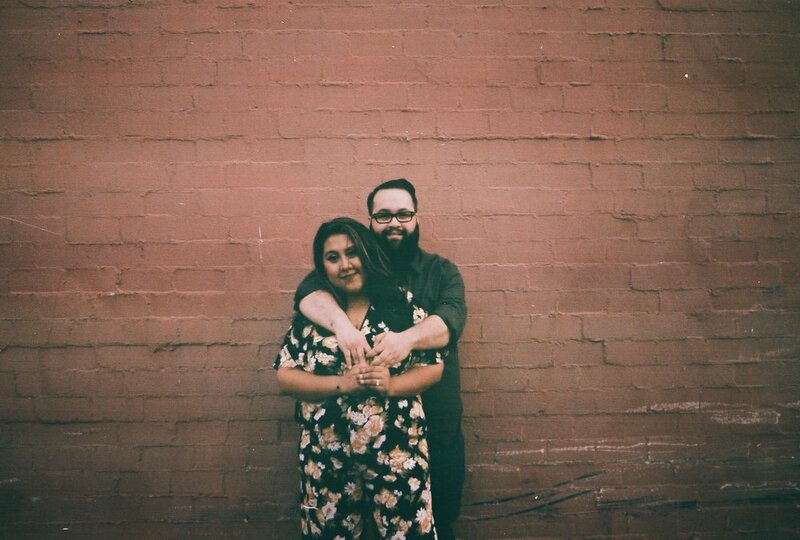 Fast forward a few years, and Nayeli felt certain the Lord was calling her to marriage. On the feast of Saint Patrick, Ivan invited her to get a green beer and catch up. A beer turned into a night at the movies, and they both knew this was where God wanted them. He wanted them for each other. Ivan began pursuing Nayeli once again, and she began sharing her heart with him. On Easter Sunday, Ivan asked Nayeli to be his girlfriend and invited her to discern the sacrament of marriage with him. In Nayeli’s words: All along, we were made for one another, even from the very beginning of time--but it was all based on God's timing. It always has, and always will, work out according to God's timing. All during Advent the year we began dating, I kept asking God to help me be patient for engagement. Ivan and I knew we were called to marry one another, but the thought of when he would ask was killing me. Since all of our relationship had been rooted God’s timing, I knew this would also apply to engagement. I’m a planner. I plan work, school and all of my family events, so the last thing I wanted to do was plan an engagement. 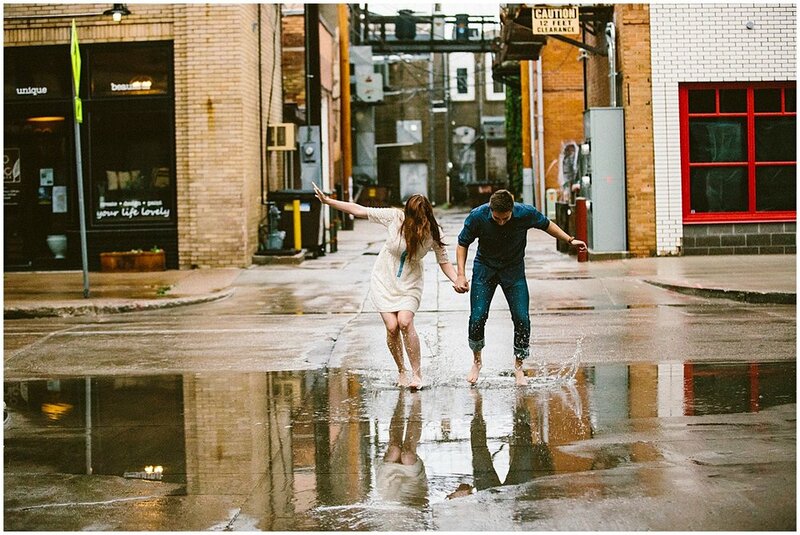 I wanted to be surprised, swept off my feet. That meant not snooping or asking questions! It didn’t help that I was getting asked about a ring 24/7; so again, I asked God to give me patience. I was getting antsy but I knew I needed to give it back to God. A few days later, a friend and I were going to a young adult event at my home parish. She bailed on me, and I wasn’t feeling it to go by myself. My best friend Stephanie called and begged me to go, saying I hadn’t seen her and it would be fun and needed. I went to the event, where there was a dinner. Out of nowhere, Ivan's sisters were “in the neighborhood” going to the new Catholic coffee shop. I invited them to stop by the event afterwards for Adoration. Stephanie asked me to save her a seat on the first pew, where she usually sits during Mass. I felt bad leaving Ivan’s sisters, but I knew they would understand my sitting elsewhere for prayer. As the holy hour began, a reflection played over the speakers about waiting. I cried. This was everything I had prayed about during Advent. My best friend, my sister in Christ, put her hand on my shoulder and started praying for me. It was a very heartfelt moment, but I just assumed that is where God had led her at the time. The director wrapped up the evening and dismissed the attendees, but asked Stephanie and I to stay behind while the Blessed Sacrament was reposed. Stephanie and I sat there for a minute. She asked if I saw the tabernacle key; it wasn’t there. She rolled her eyes, saying she’d be back, and it was just me in the front pew, before Jesus on the altar. I knelt, finishing my prayer in thanksgiving, and saw a shadow. I turned to see Ivan walking up the aisle. “Hi, my love,” he said. At that moment, I knew. He took my hand, led me to the front of the altar, and spoke the sweetest words I’ve ever heard. There we were, standing in front of Jesus in the monstrance as Ivan got down on one knee and asked the words I’ve longed to hear for years: “Will you marry me?” As I cried, the words that kept going through my mind were the greatest love story of the Scriptures: "This one, at last, is bone of my bones, and flesh of my flesh." At last, Ivan was asking me to be his bride, to start a new journey towards the sacrament of marriage. A new journey to get one another to Heaven. I was in awe of the goodness of the Lord. I was in awe of the one who God made just for me. In awe of the beautiful journey we were about to embark on. Having just ended an emotionally exhausting relationship, Mary Kate cautiously took measures to protect herself from the pain of heartbreak, saying “every novena imaginable” to saints Anne, Jude, Joseph, Our Lady Undoer of Knots, Raphael, and Anthony. Her future husband was a constant fixture in her prayer life. A line from the movie Little Boy, spoken by a priest, echoed in Mary Kate’s heart: “you moved me to move the bottle.” She deeply desired that the Lord would move to give her a holy spouse, praying for her husband’s strength and courage as they waited to meet each other. That summer, she met a seminarian for her diocese. They became friends. And for a time, that was that. In Mary Kate’s words: Jason and I always had good conversations, especially about the Catholic faith and about music. I often saw him, with other seminarians, at many young adult events in the area. At the conclusion of a pastoral year, Jason returned to seminary. I continued my constant prayers for my future husband, trusting completely that God would bring him into my life when the time was right. One Sunday, about a year after our first meeting, I saw Jason’s announcement on Facebook that he had discerned out of the seminary, and would not be continuing in formation. I was shocked, and a little disappointed. If anyone would have made a good priest, it would have been Jason. That Wednesday, I saw him again, and we were able to catch up. Over the next three and a half weeks, we saw each other frequently at different young adult events, attended several priestly ordinations together, and started getting to know each other better. At the end of that time, we went to a couple movies together. The day before Corpus Christi Sunday, Jason asked me to be his girlfriend, and I said yes. Two years earlier, I had asked God to bring me a good Catholic man, and to bring him to me on the Feast of Corpus Christi. In return, I would get married as close to Corpus Christi Sunday as I possibly could. To say I was a overjoyed might be an understatement. On March 17, 2018 we celebrated nine months of dating. Jason had spoken with my parents in February and had received their permission to ask for my hand in marriage. On Tuesday of Holy Week, I assisted with the Chrism Mass in our diocese. The Mass totally got me in the Holy Week mood, and I was ecstatic. Jason and I usually see each other on Tuesdays and weekends, so I already knew I’d be seeing him that evening after work. On my way home, as we talked on the phone, he suggested we go to the Perpetual Adoration chapel in town that evening He got to my house, we had supper, and then we left for the Chapel. We’d been there almost a full hour when Jason stood up from our pew and proceeded to kneel right in front of the monstrance. He’d done that before, so I didn't think much of it. Except that he knelt there for forty-five minutes. As it turns out, he had been waiting for me to get impatient and ask him if we would be leaving soon. We’d each thought the other simply needed some serious prayer time! Finally, Jason looked back at me and nodded for me to come forward. I knelt beside him. After a moment or two he stood up, so I did, too. As soon as I was standing, he knelt back down, and on one knee, proposed to me in front of Jesus. I, of course, said yes. An older couple was there for their holy hour; they politely clapped and congratulated us. On the car ride back to my house, I learned some of my siblings and their families were waiting with champagne to celebrate with us! It was such a joyful evening, I couldn't have asked for a more perfect proposal. Besides the fact that Jason proposed before Jesus in the Eucharist--thus making him the foundation of the next stage in our relationship--I think my biggest takeaway from our engagement is a reflection on my ring. My ring has a sapphire and a ruby on either side of a diamond. My favorite color is blue, and Jason’s is red. There is a twofold significance: first, two become one in the sacrament of marriage. Second, it takes three to get married, with God as the center diamond and Jason and I as the jewels on the sides. TheaMarie was raised Protestant, but met her husband-to-be at their Catholic high school. For three years, she and Ben were close friends, telling each other everything in between dating relationships with others. Ben asked TheaMarie to their junior prom where, to her surprise, he asked her to be his girlfriend two weeks later. In TheaMarie’s words: God is beautifully omniscient and works in the most graceful ways. Slowly but surely, the Lord began to work through Benjamin's loving faith and practices to show me the beauty, mercy, and consolation of the Catholic Church. We began spending time in the chapel during lunch together, going to late-night Adoration, and exploring the sacraments together. On November 1, 2013 I entered the Catholic Church at a school-wide Mass, with Ben as an altar server. It was very special, and an experience we both hold dear to our hearts. We both went off to college in Wisconsin, him in Milwaukee and myself in La Crosse. Dating long-distance has stretched us in ways we couldn't have imagined. These past four years have not been without tears or long discussions, but the fruits have already become manifest. We have continually looked to our Mother and to St. Joseph for guidance as we’ve weathered our journey across the distance. Our engagement was expected, yet also completely unexpected. It was expected in that we had been courting for four years, working on our careers and bettering ourselves to grow closer to God. But the timing and setting were entirely unexpected. I was convinced Ben would propose somewhere in our North Dakota hometown, where we spent countless hours talking, working on homework, driving around, praying, and being with family and friends. He completely surprised me when I’d delayed my flight home from school beforer Christmas break. It was a Saturday night, and we were on our way to Mass. It was beginning to storm. Unknown to me, before we left Ben had made plans with friends who worked for the Basilica of St. Josaphat in Milwaukee, asking them the best spot to propose. On our drive to the Basilica, at the same time we both said we wanted to go to a different Catholic Church we had been planning to explore more at some point. We took the exit and attended a beautiful Mass, with few present as the winter storm had made travel difficult. At the end of Mass, we finished our prayer. Ben asked if we could go to the front of the church to pray for safe travels. As we knelt, I could feel that he was nervous, which made me nervous! "TheaMarie, we have grown so much over the past seven years. I cannot imagine my life without you. You are my whole life. Will you make me the happiest man... Will you marry me?" I stood there in disbelief and absolute excitement and said, "Yes, yes, yes!" We hugged, kissed, and he put the most beautiful ring on my finger. The center diamond is from my mother's wedding ring, and my dad, who owns a jewelry store, created it himself. We thanked God for our relationship and enjoyed a nice meal, just the two of us in a big city where no one knew us. We looked at Christmas lights and called our parents. The next day, I had to leave for home. It was the most beautiful time we had together and our long engagement of one and a half years has been a gift to us: a time of growing in virtue, patience, mercy, understanding, love, and allowing for God to work within us and through one another. A few months after moving back near home following her college graduation, Alexa was walking along the boardwalk in Atlantic City with her cousin Judy when Judy mentioned Patrick, the new Theology teacher at the school where she worked. She suggested Alexa visit the school as a guest speaker for Pat’s students. In Alexa’s Words: Unfortunately I hate public speaking, but I didn't hate the idea of meeting an allegedly cute guy who was my age and taught Theology. "Tell him to send me an email and maybe we'll figure something out," I told her. That week, I logged onto Facebook and looked up this Pat Smith guy Judy had been telling me about. I quickly found his profile, clicked through a bunch of his pictures, decided internally that I would welcome an opportunity to meet him should such an opportunity present itself, and finally proceeded to do absolutely nothing proactive about initiating communication. A few months later, I was minding my own business when I received a friend request from Patrick Smith on Facebook. I accepted it and sent him a message. We had the standard polite inaugural exchange, then eventually got to talking about our jobs, our college experiences at, and our faith. We got to the point where the next natural step would have been to meet in person, but neither of us seemed to know how to address that. Enter Judy again. She knew I had been working with the youth group at my parish on what would be their first annual Living Stations, and suggested I invite Pat to come down and see it. This seemed low key enough for a first meeting. And what made the whole thing even less intimidating was that I was almost certain Pat would say no: why would a man drive an hour to a see a girl he's never met and help with a youth group that he has no affiliation with? I casually invited Pat and he responded almost immediately with a yes, seemingly very excited about it. It turned out to be a very low pressure first encounter, because Pat and I only got to talk for about fifteen minutes over the course of the night. But it was enough for both of us to know that we had the potential for at least a great friendship, and that we wanted to see each other again. Three weeks later, at my coworker’s encouragement, I invited him to see the movie Heaven is for Real, which was followed by a series of dates and making our relationship official. What many people don’t know about our relationship, however, is that we broke up for a period of time, after about eight months of dating. We had very different experiences with the time we spent apart. For me, those months were a time of discernment about what I was being called to in life. I briefly discerned religious life, and also took the time to truly ask myself, for perhaps the first time in my life, whether I was actually called to marriage. Meanwhile, Pat struggled significantly with our breakup. When we eventually started talking again, he told me he’d prayed for me every day when we were apart. But what meant even more to me was when he told me he hadn’t just prayed we’d get back together. Instead, he prayed for God’s will and for me to find my vocation, whether or not it turned out to be a vocation to marriage with him. That was when I knew we had something different. We began dating again shortly thereafter. Looking back, it's now so symbolic that we met in person for the first time at the Cathedral of the Diocese of Allentown. 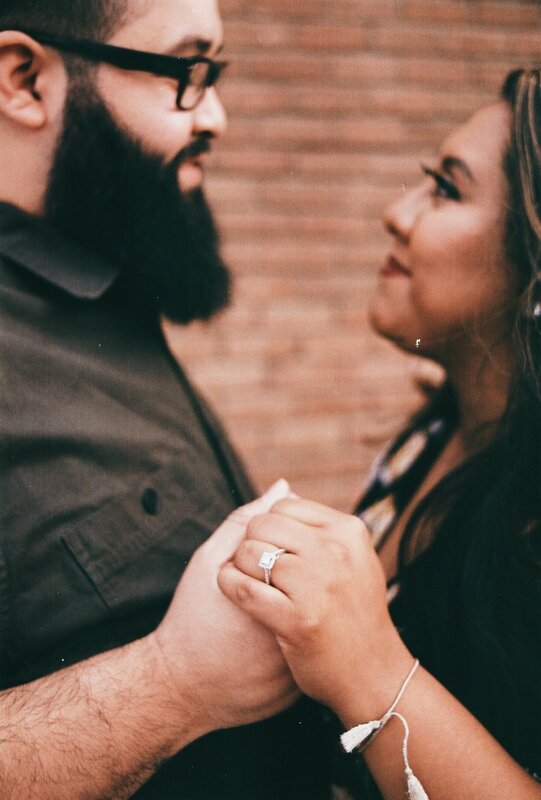 Little did we know when we first met there for Living Stations that we would get engaged there and, in June 2018, will be married there. Pat proposed at the Cathedral during an annual Christmas tradition, wherein the youth group gets together to help put up the tree and other decorations. There were about 25 of us there that day--teens, adult volunteers, and our three parish priests--and we were all busy decorating and socializing. During the event, one of the teens pulled me aside to ask me a question. Meanwhile, Pat and the other volunteers were helping everyone get in position for his plan. A few moments later, I was asked to come investigate a Christmas present with no name on it. As soon as I picked up the gift, everyone started chanting "Open it!," so I did. Inside was an athletic T-shirt from Pat’s school, with "Future Mrs. Smith" printed on the back. At that point I was pretty sure I knew what was going on. Pat got down on one knee and four of the teens held up signs reading, Will you marry me? 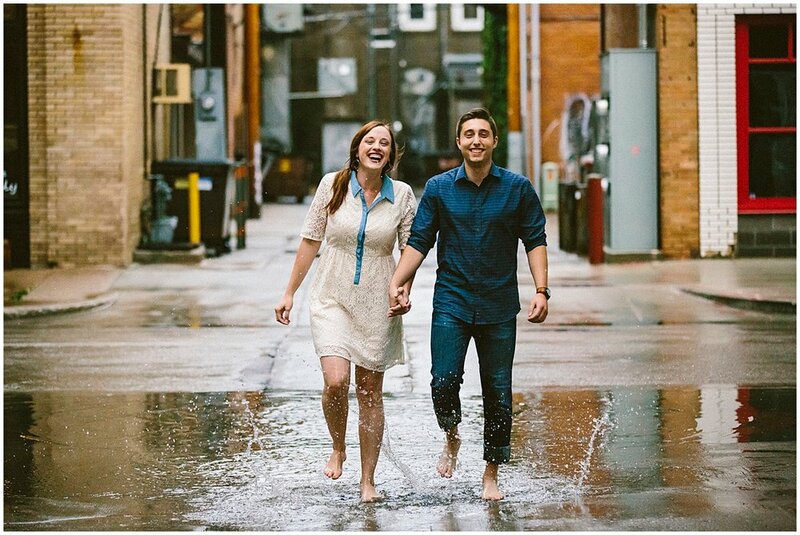 We are beyond excited for our wedding this summer, to answer our vocation and begin living out our call to marriage. Thanks to the beautiful vulnerability and generosity of spirit given by each of you in the Spoken Bride community, it’s been our honor to share such precious parts of your hearts, and ours, in 2017. Here, as we close this year, a look back at our featured love stories and a collection of our favorite posts. You are more than your imperfections. ...and these practices might help you in your struggle. You are a bride, a beloved. Cherish this sacred time. This is the essence of being a bride. You are a bride always--even if you no longer feel like one after your wedding day. From us to you, thank you for taking part in Spoken Bride's ministry, whether through your social media interaction, your submissions, your patronage of our Catholic wedding vendors, or simply through having clicked over to the site. All glory and thanks to the one whose hand has guided this mission and brought you here. We sincerely hope the words and images you've found here have been a source of authenticity and beauty in your heart, your spiritual life, and your relationship. Be assured of our prayers as we, like you, strive for heaven in this vocation of marriage. We’re grateful and eager to continue serving you and sharing in sisterhood in 2018! 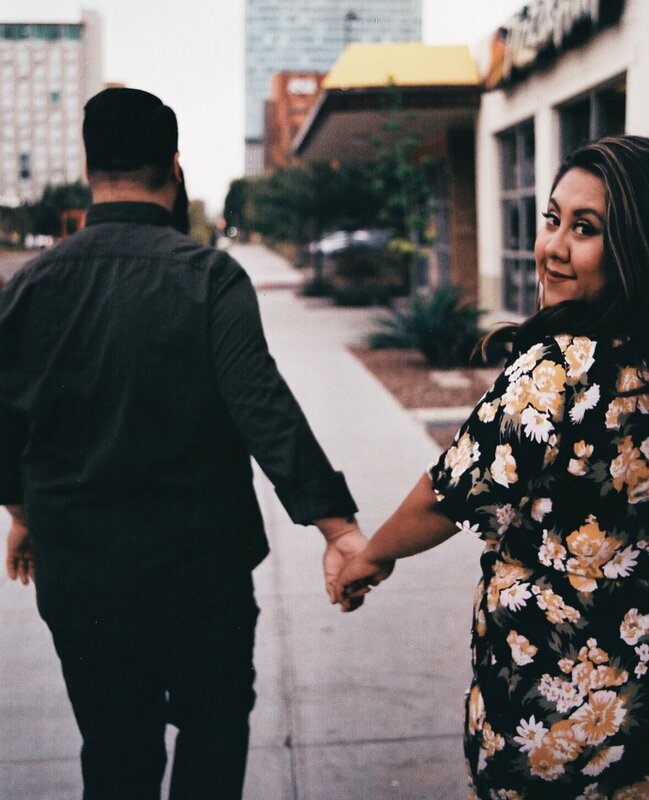 One of the greatest gifts of the work we do here at Spoken Bride is the opportunity to hear so many beautiful love stories. The many submissions we receive for "How He Asked" and wedding features give us hope for the future of marriage in the Church, and we truly appreciate you allowing us to be a small part of your story. 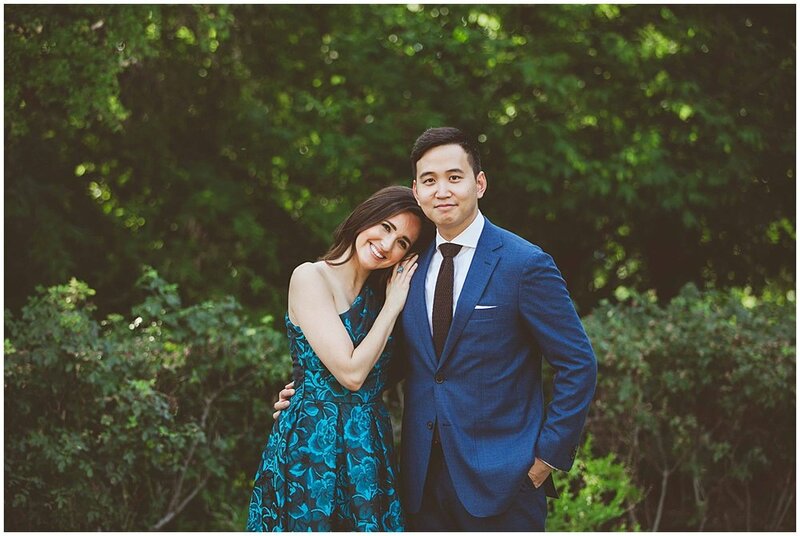 In gratitude, today each member of the Spoken Bride team will be sharing her proposal story. We hope you enjoy! We had a “pre-proposal proposal” on August 14, 2006, seven months after we started dating. 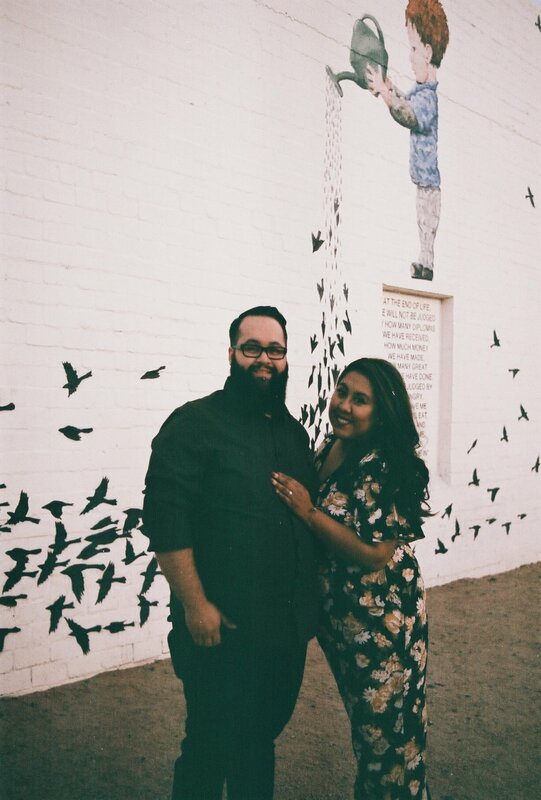 We decided to get married at 4am while we were at the little park above Corona Del Mar Beach (where I saw him for the first time) staring at the ocean. proving that occasionally, good things happen after 2am. Shortly thereafter, we decided on September 8, 2007 as a wedding date and then I just waited for Matt to make it official. On December 2, while I was at work, he made dinner at my mom’s house and she helped him decorate the table. I was shocked when I got home, and then noticed the ring box and knew something was up. The box mysteriously disappeared while I went upstairs to change and after dinner we went back to the park above Corona Del Mar Beach to look at Matt’s childhood photo album. On the last few pages he put pictures of us and a really sweet note (quoting Flight of the Conchords) to describe his love for me. The ring was taped to the album but I didn’t notice it so he shined a flashlight on it asked me to marry him, and we just celebrated our ten year anniversary this past September! Kristian’s original plan was to propose to me atop the Dome of St. Peter’s Basilica in Rome (he’s definitely a romantic), but since we were both impatient to get engaged and knew that a trip like that wouldn’t be possible in the near future, Kristian proposed five months after we began dating on July 28, 2016, in the chapel where we were later married. After spending the morning in prayer together at a Marian shrine in west Austin, he suggested that we go to confession and daily Mass at my childhood parish across town. After Mass, we went to the Divine Mercy icon to pray in thanksgiving for our relationship. After a a minute or so, Kristian looked over at me and said, “God has been so merciful to us.” I tearfully replied in the affirmative, but was oblivious to his plan until he suggested that we take a photo in front of the altar. He asked a random lady who was still in the chapel to take the photo and then got down on one knee and told me that he loved me and wanted to be a saint with me. Would I marry him? I said, “Yes,” through tears of joy and the laughter of surprise. He slipped his grandmother’s pearl ring on my finger and we embraced in front of the same altar where we were married five months and one day later. I had just moved to outside of Philadelphia, PA from my hometown of Virginia Beach, VA to complete an internship at the Theology of the Body Institute. This placed us closer together since he was finishing his last year at the United States Naval Academy in Annapolis, MD, and we were able to see each other more often on weekends. Unbeknownst to me, one weekend, he drove from Annapolis to Virginia Beach to ask my dad permission to marry me, and then got back into the car to drive back up to West Chester, PA to spend the day with me before he had to report back to Annapolis. That’s about 12+ hours in the car in 24 hours! On the morning of Sunday, January 11, 2009, at beautiful St. Agnes Parish in West Chester, PA, we attended Mass together. At the conclusion of the recessional hymn, Mark suggested that we pray in front of the statue of Our Lady. While reflecting on the Seven Sorrows of Mary, he abruptly grabbed my arm and told me to stand up. Completely annoyed and startled, thinking there was some sort of emergency, I said, “Oh my gosh! WHAT? !” Then he got down on one knee and said some things that I cannot remember and asked me to marry him. Even though I knew Mark had been looking at rings for awhile, I was still completely surprised by the proposal! I met my husband Andrew in college, at Mount St. Mary’s University in Maryland. It was on that holy ground that I developed a devotion to Our Lady for the first time through Militia Immaculatae, a prayer movement founded by St. Maximilian Kolbe, and that Andrew experienced a renewal of his spiritual life through the Rosary. I can see only the Father’s hand at work when I consider how deeply Our Lady drew each of us into her heart, independently of each other, before we were a part of each other’s lives. When we first began dating my senior year, we frequently went on nighttime Rosary walks. Our school being named for and placed under the patronage of Our Lady, there are devotionals to her scattered throughout the campus. A favorite one of ours was a small Marian grotto next to the chapel, flanked by a beautiful pond and garden. The summer after I graduated, as Andrew and I prepared for a year of grad school and mission work, respectively--from two different states--we celebrated my birthday and the end of my mission training with a picnic on our campus, which is near his family’s home. After our meal, Andrew invited me to walk with him and pray the Rosary. At the start of each decade, he offered a spontaneous prayer for our relationship, which wasn’t typical, but I anticipated nothing. As we walked, I kept trying to guide Andrew to our favorite spot at the grotto. He kept redirecting me! Finally, we found ourselves beneath Our Lady’s feet as we concluded our prayers. Andrew followed our Rosary with a beautiful speech, during which I still didn’t suspect anything more than an outpouring of emotion as we prepared to date long-distance. Until he got down on one knee. In that moment was the clearest, easiest yes I’d ever say. Hunter and I met when we were 19 and so by the time we were thinking about marriage we had been together for about 4 years. We were both ready to enter more deeply into our relationship and see where God was leading us our journey together. I knew a ring was in the near future, but I was expecting Hunter to propose at Christmas or New Years. Instead, he decided to completely surprise me on the Feast Day of my confirmation saint, St. Cecilia. I went to classes that morning and then had plans for lunch with a couple of good friends. Hunter and I had planned for me to drive to meet him at his graduate school in Baltimore that afternoon so I was planning to hop in my car to drive up Route 95 after lunch. I had a lovely lunch with my two girlfriends at my alma mater, Catholic University. After we ate, my friend Chelsea, asked if we could all go to the statute of Our Lady of Wisdom on campus to pray for a special intention of hers. We walked over to the statue and stood there praying for a moment at the statue where Hunter and I had prayed together many times before. Then, Chelsea reached behind the statue, and presented me with a dozen red roses and a note from Hunter. I was in complete shock and realized that something was up. I kept asking where Hunter was! I don’t remember exactly what the note said but it alluded to the fact that up until that point of our relationship, Hunter had only bought me white or pink roses, representing friendship, and now that we were about to embark on this new step in our relationship, he gifted me with red roses representing mature love. At this point, I started to shake with excitement and nervousness so my friends had to take the coffee cup I was holding out of my hands as they directed me to the Garden of Mary behind the National Shrine of the Immaculate Conception, which is right next to CUA’s campus. There is a long pathway leading from the top of the garden to its center where I saw Hunter standing. As I reached the garden, Hunter took my hand, told me he wanted to be mine forever and knelt down in the same spot where he had asked me to be his girlfriend 4 years earlier. The funny part was that he was so nervous that he was on his knee for about 10 seconds before bouncing up and putting the ring on my finger. Of course I said ‘yes’! As someone who isn’t easily surprised, I was so happy that Hunter had enlisted my friends to help pull off this beautiful engagement. 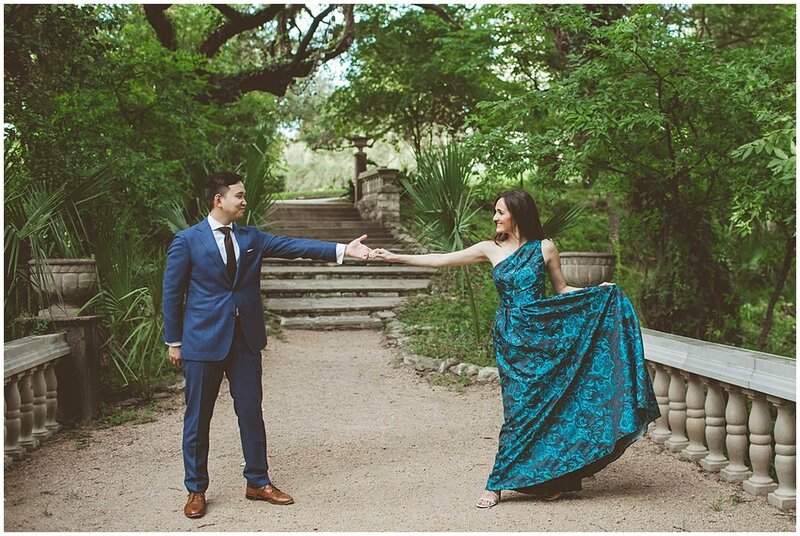 Jonathan and Rose met in 2013 when they were both completing their residencies in the medical field. Working in the largest medical complex in the entire world in Houston Texas, Rose never thought she'd cross paths with the love of her life just four weeks after moving there from where she grew up in Mississippi. God in His mercy had divine plans in store for this beautiful couple. In Rose's words: When we first met, Jonathan and I were in very different places in our spiritual walks. He was a fallen away Protestant wrestling with faith in the context of science as he launched head first into the world of medicine. At that time, I was an infant in my Catholic walk, clinging to my “good works” which provided a heavy dose of smug self-righteousness. I was deeply discontent with singleness and was wrestling spiritually with fear, loneliness, and angst about what my future held. Through the power of the Holy Spirit, Jonathan chose to pursue RCIA and found so much peace in finding the Faith. His devotion as a new convert inspired me to become a more committed Catholic myself. From that time until now, God has transformed us bit by bit into a fortified Catholic couple pursuing a shared direction and vision in life. As the Lord reminds us in Scripture, transformations are rarely painless. Our dating relationship had its challenges: the distance between Texas and Massachusetts (where he moved for a fellowship), the fears of the unknown future, my nagging desire for marriage and children, cultural differences, family strain, past emotional trauma. Through these challenges, Jesus taught me the beauty of letting go of my plan, to accept being 30 and unwed, and to love another flawed human being more than myself. In doing so, I was able to love more freely and completely. A big part of his waiting to propose was related to our distance. God in his faithfulness opened the door for us to take jobs in the same hospital, in the same clinic, seeing the same patients in Austin, TX. How's that for close?! This level of proximity helps me see Jonathan in a totally new light. I fell even more in love with him as I witnessed him show Christ to his patients - praying with them, caring for them, and gently healing them. Another perk is that he constantly wrote me adorable post-it love notes and I got the cutest lunch date, like, every day. Based on the content of these love post-its and our conversations about readiness, I could tell that the big question was coming. When we arrived at our parish, I quickly noticed the empty parking lot. We were way too early! So, as Jonathan recommended, we went to the adjacent prayer chapel for some contemplative time before mass. A minute of prayer hadn't passed until Jonathan got down on one knee and proposed. Since Jonathan is basically a mathlete, he told me how many text messages we had sent to one another since starting dating (19,787), the number of home cooked meals I have made him (78), and the number of souls I helped find faith (1) – for which he gives me way too much credit. He asked me to share forever with him. He also coordinated for my family to come into town from Mississippi the following weekend and for our families to meet over dinner. As I reflect on the proposal, I'm thankful that the didn’t choose to propose with fancy grand gestures or in front of a large audience. He wanted the proposal to be before Christ and for his words to be tenderly shared on the sacred ground - where we go every week for strength and grace. And I love him for this. Looking back, I am grateful that no one walked into the chapel, as they would have found two love struck kids kissing and crying in the pew. Afterwards, we got a blessing from the priest and celebrated with a dinner at my favorite spot. I'll never forget feeling soaked in the rain, drenched in grace and love, and thankful to the Lord of mercy and kindness. 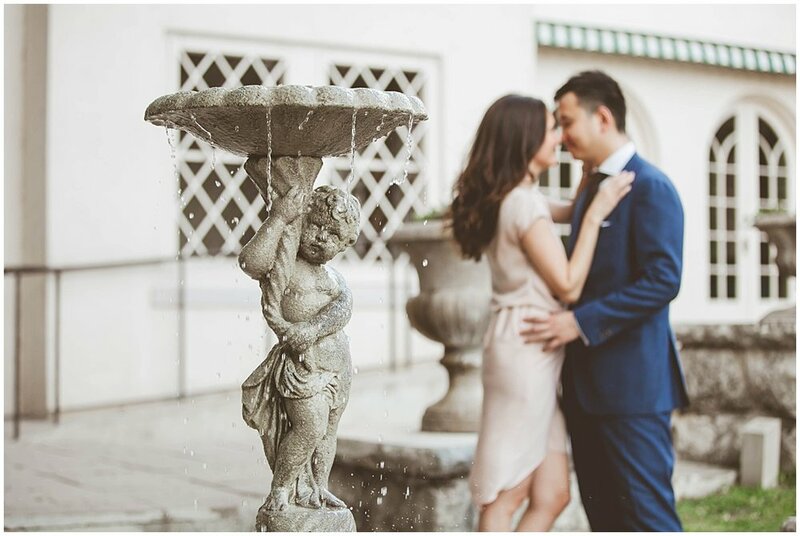 Rose's reflection on engagement: The engagement season isn’t easy – the stress of wedding planning and preparation places a unique strain on our communication and problem solving. Daily, I have to remind myself to ask God for the grace to die to my to-do list and selfish nature for Jonathan. We are phenomenally blessed through our parish who paired us with a seasoned couple – Michelle and Paul - to work through our premarital workbook together. As the wine was poured in their cozy home over the course of a few months, we were able to dive deeper into the beauty and meaning of the Sacrament of marriage. Pressing into areas of discomfort, fear, and doubt was a game changer for us and it continues to take us to the next level of preparedness and appreciation for the Sacrament. I am deeply indebted to the Church for investing in our future marriage, and for the couple who committed to entering into this journey with us. Michelle totally blew my mind when she shared these sage words: when discontent creeps into her heart, she will then choose to intentionally and selflessly serve her husband even more. She said these acts of service transform her heart and give her freedom from discontentment. This is one of many pieces of wisdom that I plan to carry into marriage. Our prayer is one of gratitude and of desire: Lord help us die to ourselves in the service of one another. I cannot wait to call Jonathan my husband and I am thankful that the Lord faithfully answered my heart’s desire for the vocation of married life.